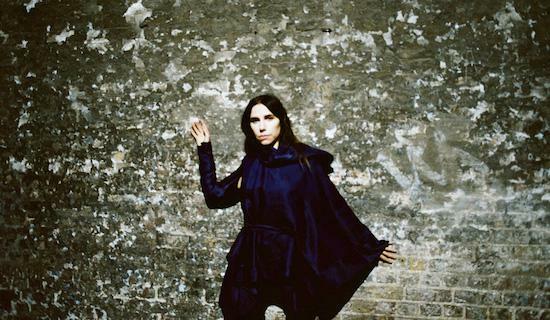 The track is one of two new songs from Harvey to be made available on a tour-only 7"
PJ Harvey has shared a new single called 'A Dog Called Money' which will be available to buy as part of a tour-only 7". The track was premiered on radio yesterday on Lauren Laverne's BBC 6 Music show, and sees her once again team up with producer Flood, while it was also recorded alongside frequent collaborator John Parish. You can hear the track at the 1:51 mark here. 'A Dog Called Money' is one of two new tracks to feature on the 7" record with the pressing limited to 1000 copies, which will all be sold at the merchandise stall during Harvey's live dates kicking off from tomorrow. The other new track on the record is called 'I'll Be Waiting'. The record marks her first release since last year's The Hope Six Demolition Project album.